Learn your way with CAD & Building Information Modeling (BIM) training to suit your exact requirements. Classroom based, hands-on training lead by highly experienced instructors. We can also provide training customised to your exact requirements. Our instructors can come to your office or you can book out our training suite if you want to "get away from it all." We know that learning new tool or process takes a bigger commitment than the initial few days of training. That's why all our training is followed up with 1 month free support via phone, email or remote assist. For the longer term, we offer Priority CAD & BIM support so that expert advice and help is just a phone call or email away. Distance learning (or e-learning) is perfect for those who can't make it to one of our scheduled courses, or want to work to their own time frame. We know that different people learn in different ways. For many of our courses you can choose a printed manual, an e-book or a video assisted e-book. This hands-on course covers the practicalities of using Autodesk® Revit® for building design through to construction documentation. Students will be introduced to the concepts of Building Information Modeling and the tools for parametric design and documentation. There is a strong emphasis on the practicalities of producing construction documentation as well as best practice techniques. Architectural design, drafting or engineering experience is highly recommended. You should be familiar with PC and Windows environments (WinXP min). Be sure to come prepared to discover the new possibilities that Revit and Building Information Modeling will open up to you. A Caduceus Systems “Certificate of Completion” will be issued at the completion of this course. Create basic content with the Family Editor. To discuss this course or to make a booking, please email us or give us a call on (04) 8024345. This hands-on course covers the practicalities of using Revit Structure from schematic design through to construction documentation. Students will be introduced to the concepts of Building Information Modeling and the tools for parametric design and documentation. There is a strong emphasis on the practicalities of producing construction documentation as well as best practice techniques. Drafting or engineering experience is highly recommended. You should be familiar with PC and Windows environments (WinXP min). Be sure to come prepared to discover the new possibilities that Revit and Building Information Modeling will open up to you. This hands-on, instructor lead course is designed for MEP engineering professionals and will give you a practical understanding of the major features of Revit MEP and how to start using them productively.The course follows the Autodesk Official Training Courseware. There is an added focus on the practicalities of using Revit in your current environment so that you can complete your first job as efficiently as possible. Further training or self-paced learning will be required to be a fully competent user of Revit MEP. As Revit projects develop it is essential Revit users are able to fully utilise Revit to be able to meet the project deliverables. This advanced course has several modules focused on particular aspects required in comprehensive BIM projects including creating content within the Family Editor, Site and Location tools, Project Phasing, Design Options, View Templates, Filters and Collaboration techniques. This course can be run as a whole or as individual modules. We can also customise any of the content to suit your specific requirements. To enable students who know the Revit fundamentals to expand their Revit knowledge so they can lead projects and substantially increase their understanding of the inner workings of Revit, including the Revit Family Editor. 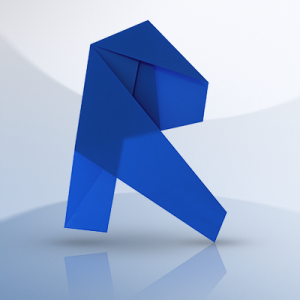 This course is designed for confident users of any version of Revit, including Revit LT. It is recommended that students have a thorough working knowledge of Revit and have completed the Revit Essentials course or equivalent. This hands-on course is designed for the new AutoCAD user who requires comprehensive training in AutoCAD to produce 2D production drawings. 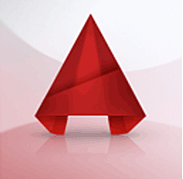 It incorporates the most commonly used features, commands & techniques for creating, editing, and printing drawings with AutoCAD. This course also has a strong focus on the best practice techniques for using AutoCAD in New Zealand. Navigate the AutoCAD & AutoCAD LT user interface. Use the fundamental features of AutoCAD & AutoCAD LT.
Use the precision drafting tools in AutoCAD & AutoCAD LT to develop accurate technical drawings. Present & Plot drawings in a detailed and visually impressive manner. No previous CAD experience is necessary. It is recommended that you have a working knowledge of Microsoft® Windows® operating systems. Through a hands-on, practice-intensive curriculum, students acquire the knowledge needed to review and markup the model, use TimeLiner, Animator, Scripter, Quantification, Autodesk Rendering, as well as the Clash Detective tools within the Autodesk Navisworks software. Using the functionality of the Autodesk® Navisworks® Simulate, and Manage features, students learn how to open, review, quantify, and run object-interference checks on 3D models. Students also learn how to link to task-scheduling files and create 4D construction simulations. Using the Animator and Scripter tools, students create interactive animations. In addition, students learn how the Autodesk Rendering tools can help them create photorealistic images and animations. 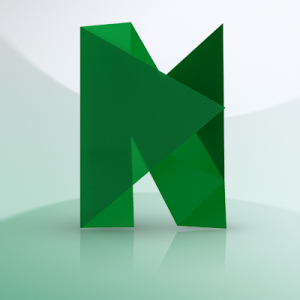 Describe the main features and functionality of the Autodesk® Navisworks® software. Open and append 3D files of different formats and save in the Autodesk Navisworks format. Create links to object properties files and scheduling files in external databases. Perform visual project model reviews using the built-in review and reporting tools. Create construction simulations of a project model to check validity of construction schedules. Use Animator and Scripter to create interactive animations for presentations and demonstrations. Obtain 2D and 3D takeoff data from source models to create material estimates, measure areas, and count components. Perform interference detection tests between 3D files of different disciplines to check integrity of the design. Add true-to-life materials, lighting, and Environments to project models, to create photorealistic output.